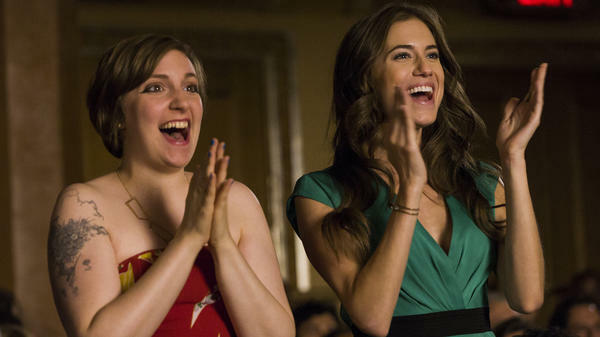 Lena Dunham and Allison Williams star in Girls, one of several popular HBO shows that stand-alone streaming could include. But today, HBO Chairman and CEO Richard Plepler announced the news that fans of the network's programming but not of cable packages have been waiting to hear: Beginning in 2015, HBO will offer a streaming service to cord-cutters and other nonsubscribers on an a la carte basis. It should be noted that the announcement HBO released to the media does not explicitly say the service will be HBO GO (or that it won't), only that it will be "a stand-alone, over-the-top, HBO service." And, of course, it doesn't say how much the service will cost. It doesn't even say it will carry every HBO show, let alone what archival material will be available — HBO GO has a lot. Those who are currently jumping up and down and declaring their independence from their cable provider may or may not be as happy when more details emerge. Many observers have expected an eventual full or partial decoupling of premium programming — and perhaps all programming — from the cable television subscription model beyond what has already happened (remember, Emmy nominations are now going to shows like Netflix's Orange Is the New Black and House of Cards, which are television shows that never aired on either broadcast or cable television). How large a step in that direction the HBO service will represent remains to be seen, but some version of a service people have been demanding for a very long time is in the near, and increasingly complex, future.